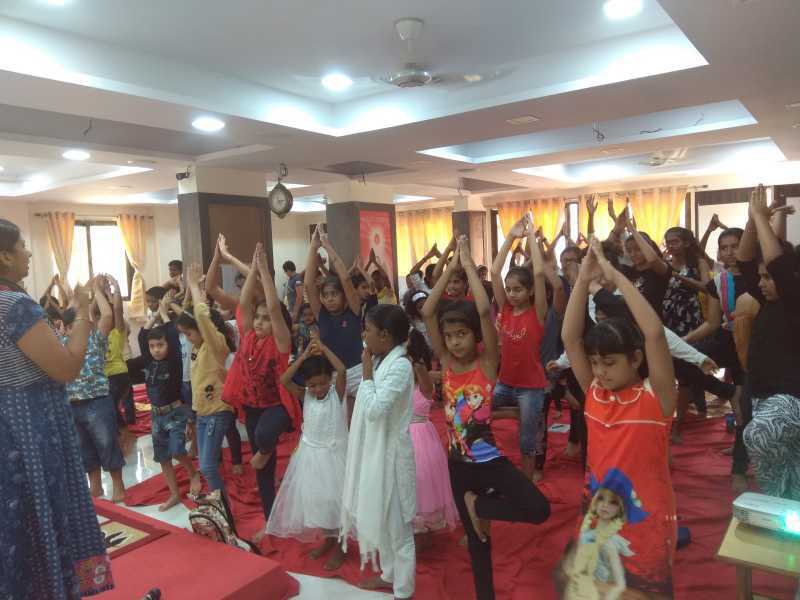 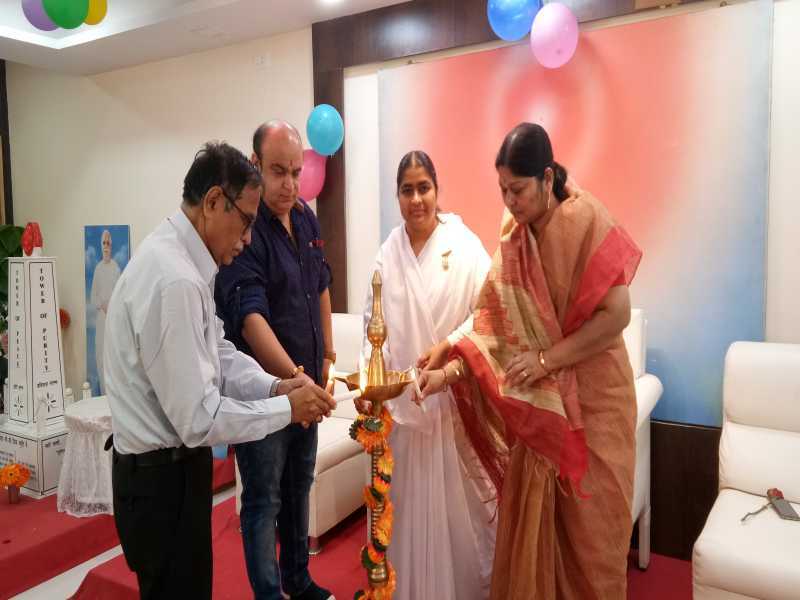 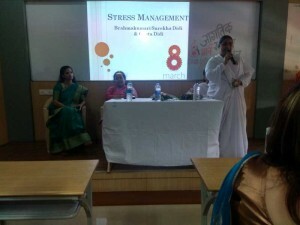 Various activities on the topic “To increase one’s capacity by Meditation” were organised by BK Supriya and BK Mangal in M.Tech Company, Hinjewadi in which employees took active part. 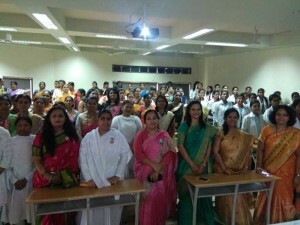 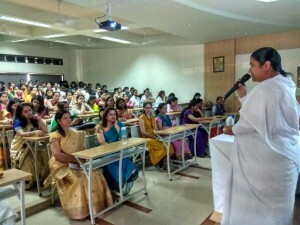 BK Surekha and BK Geeta guided Doctors and Staff of DY Medical College on Spirituality in Medical Life. 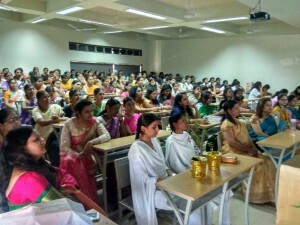 A large number of Women took active part in all the programmes. 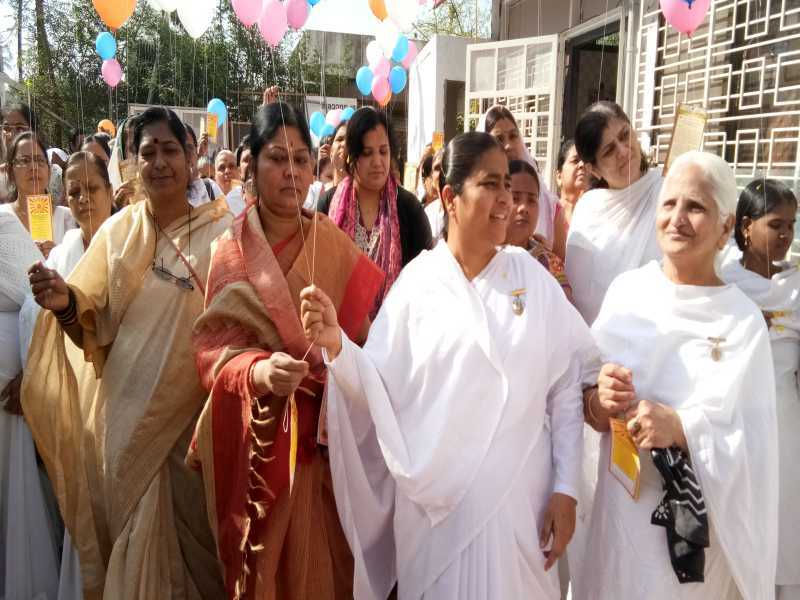 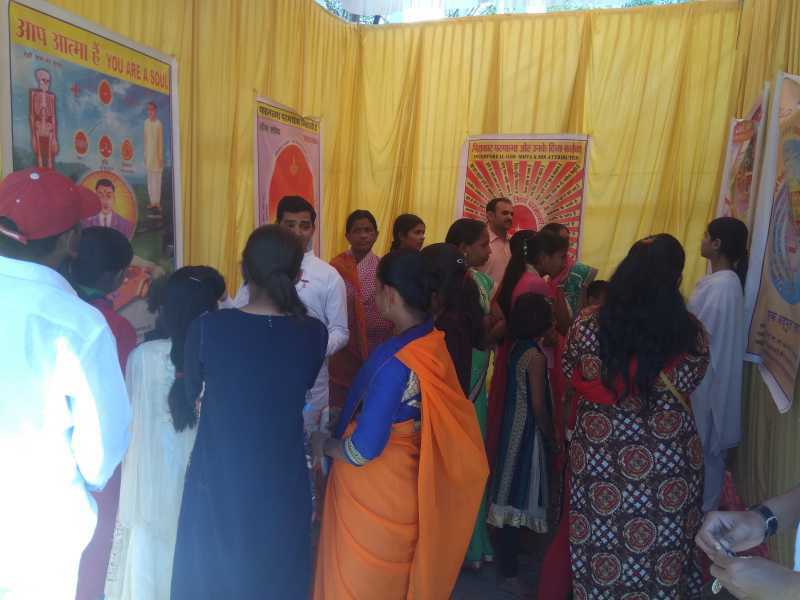 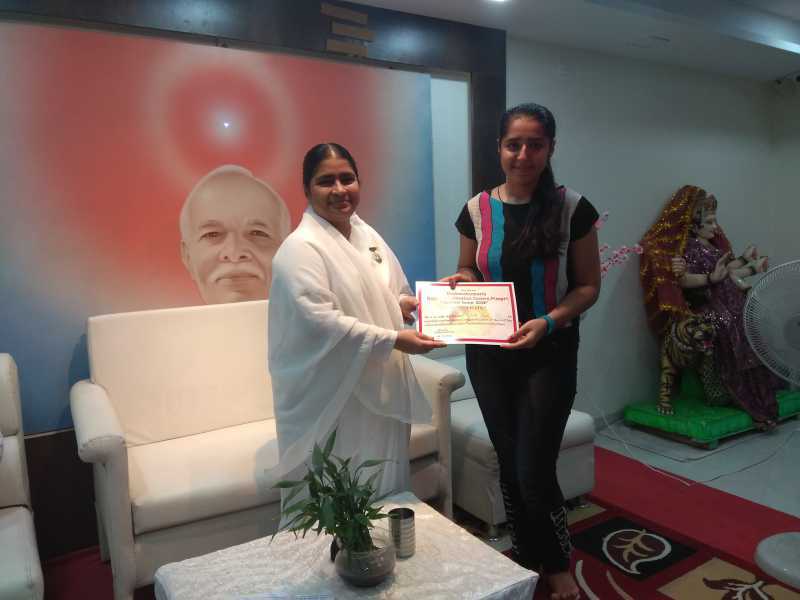 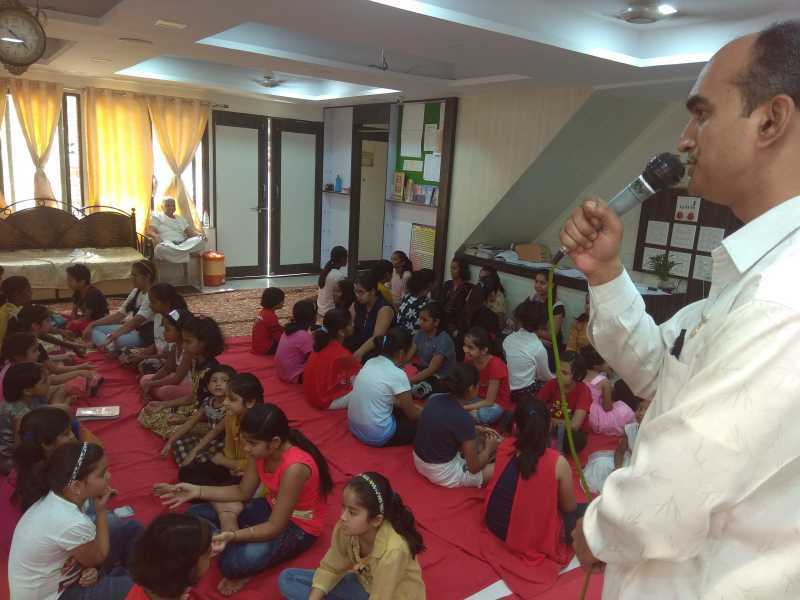 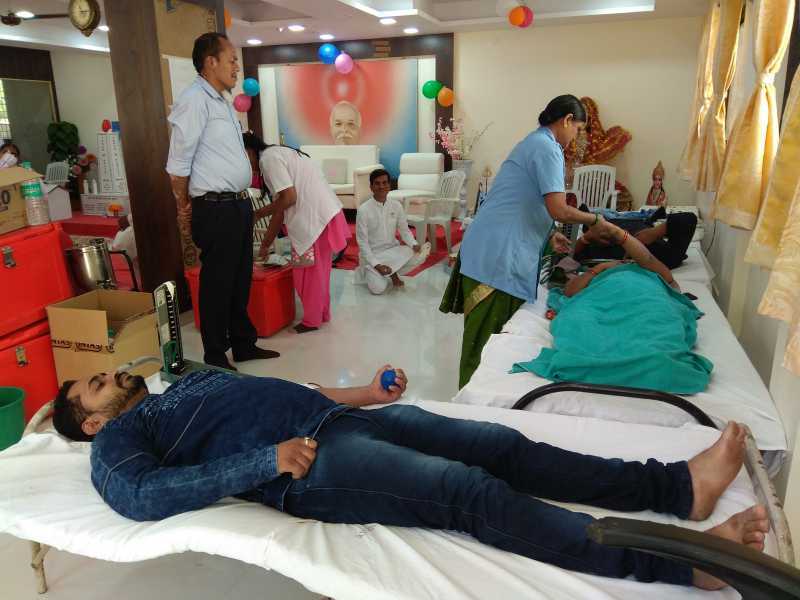 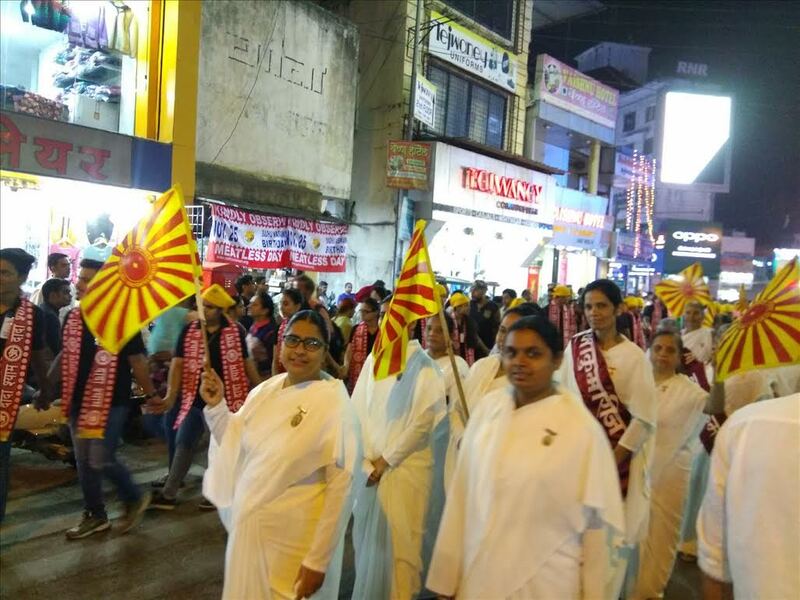 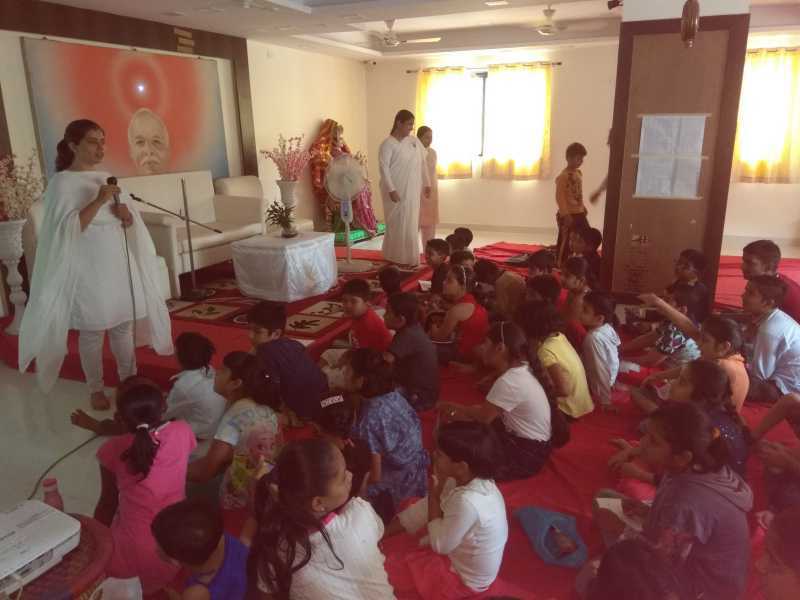 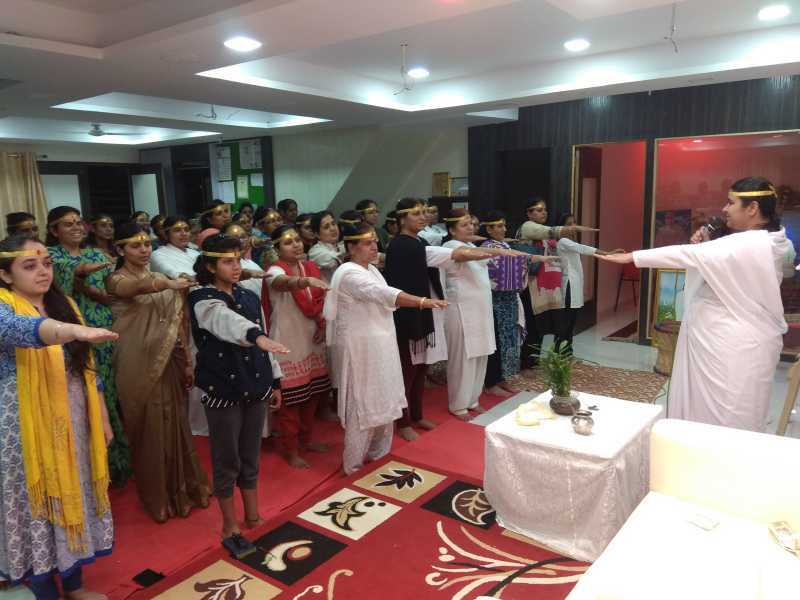 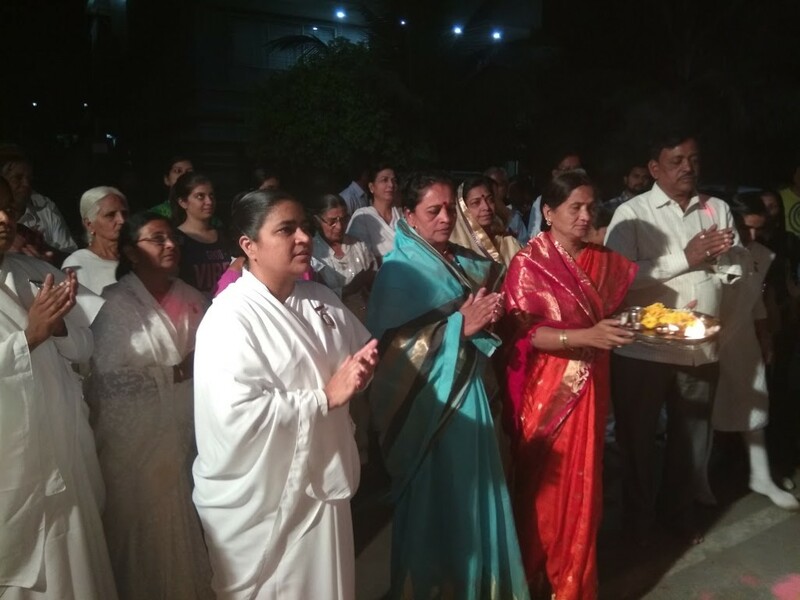 Various programmes were organised on Womens Day on 8th & 9th March 2018 by Brahmakumaris, Pimpri in M.Tech Company, Hinjewadi and DY Patil Medical College. 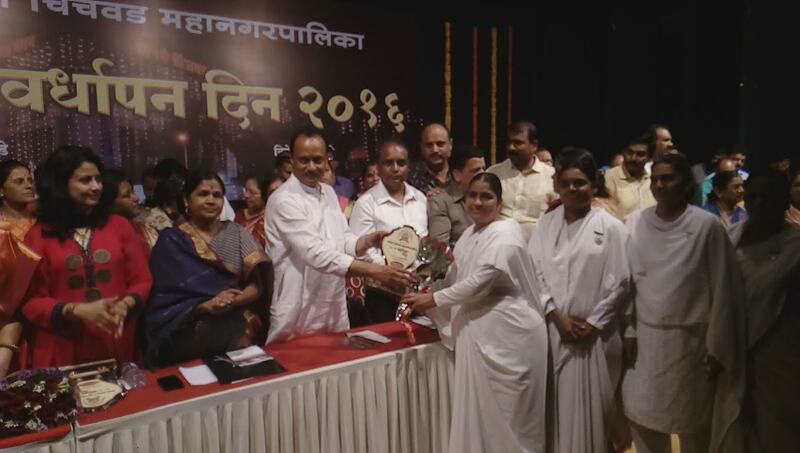 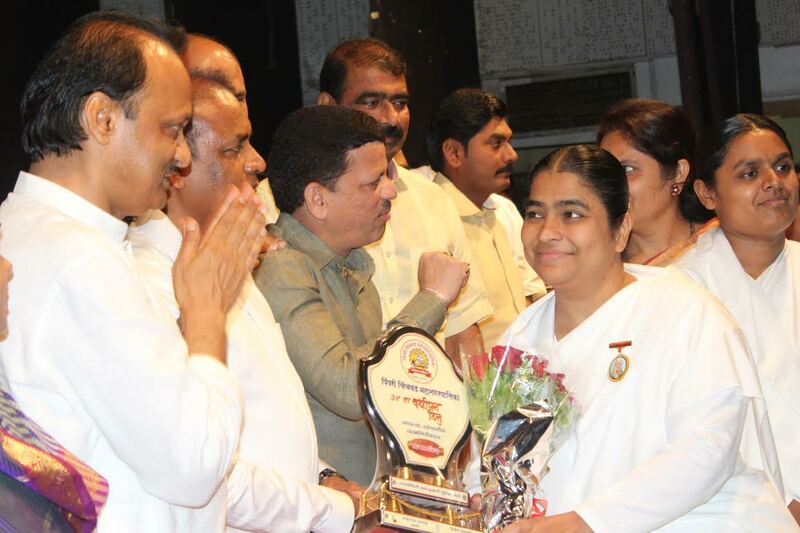 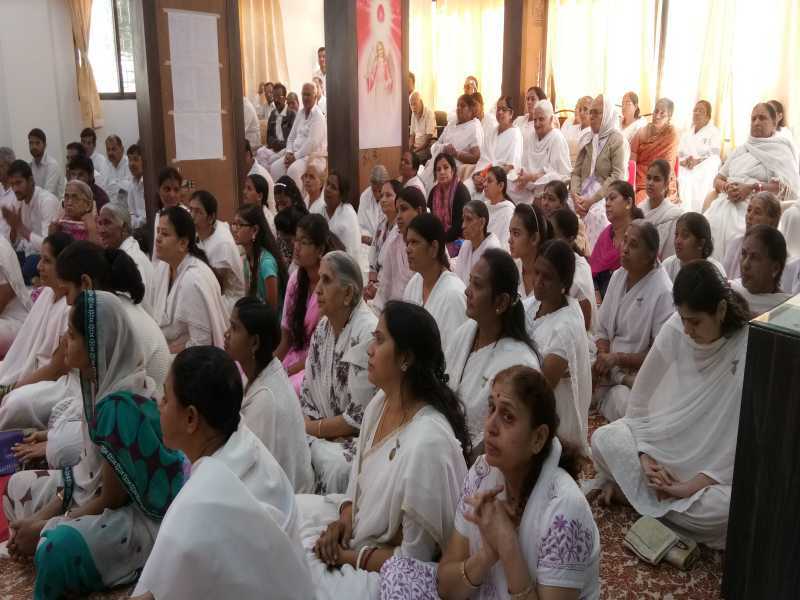 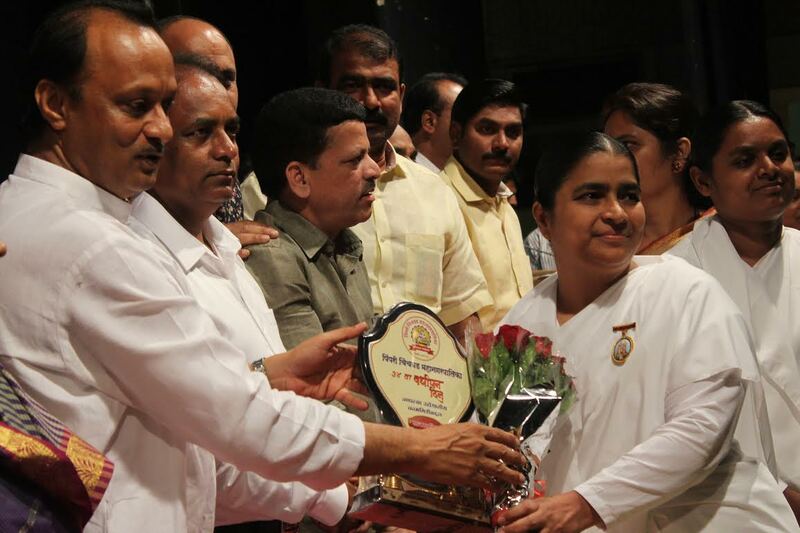 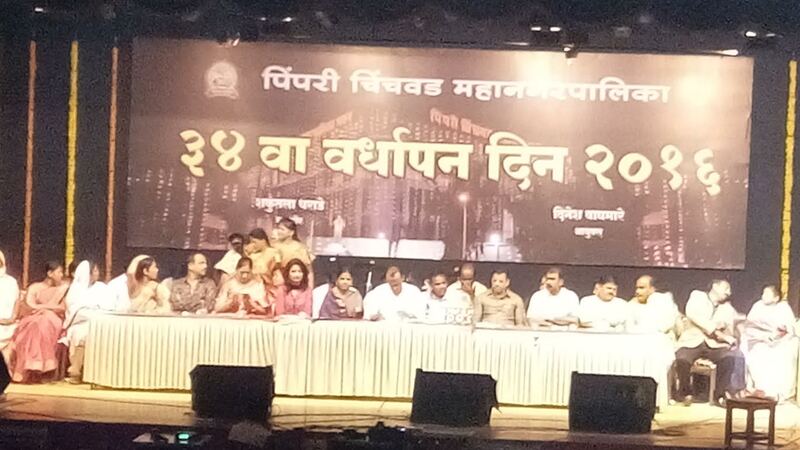 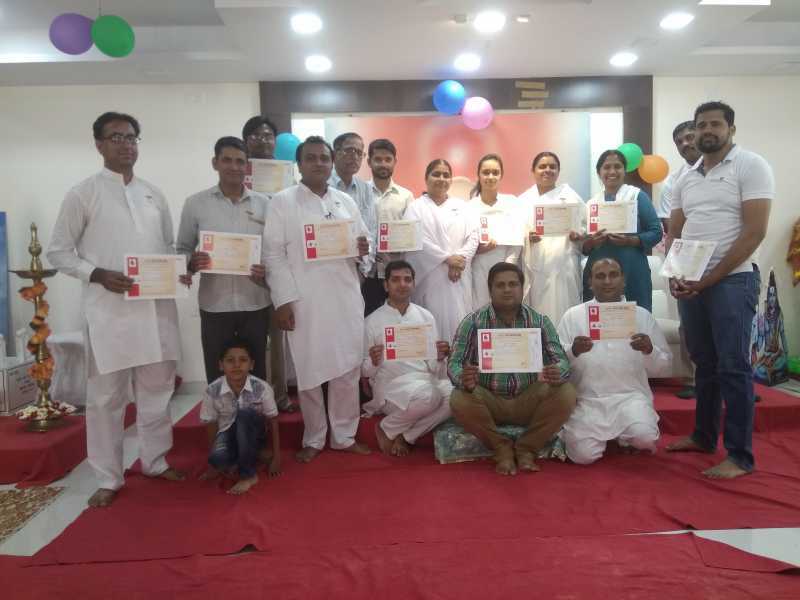 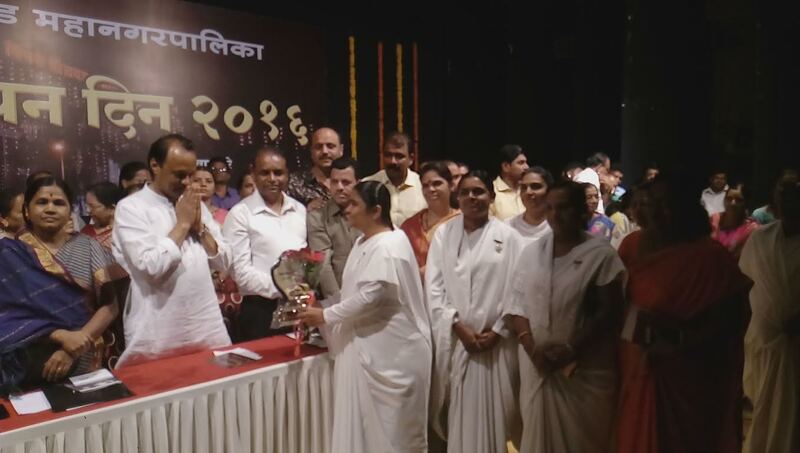 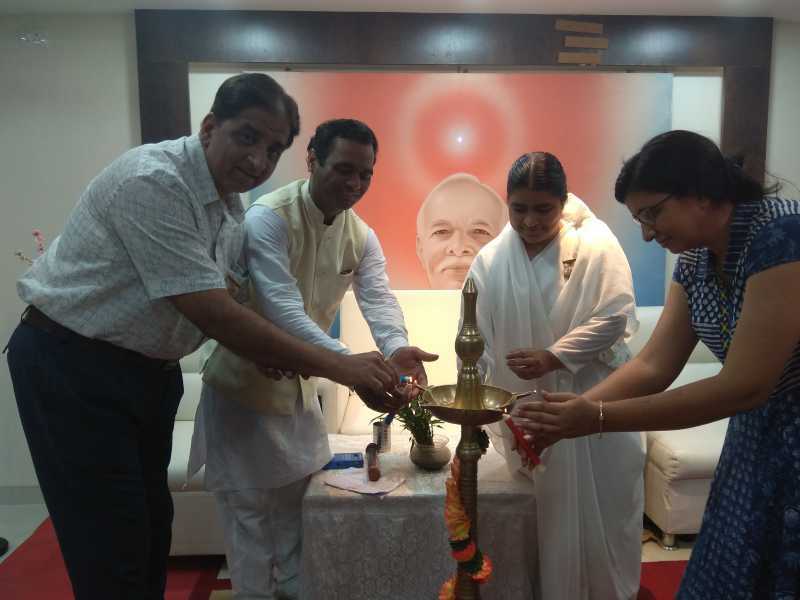 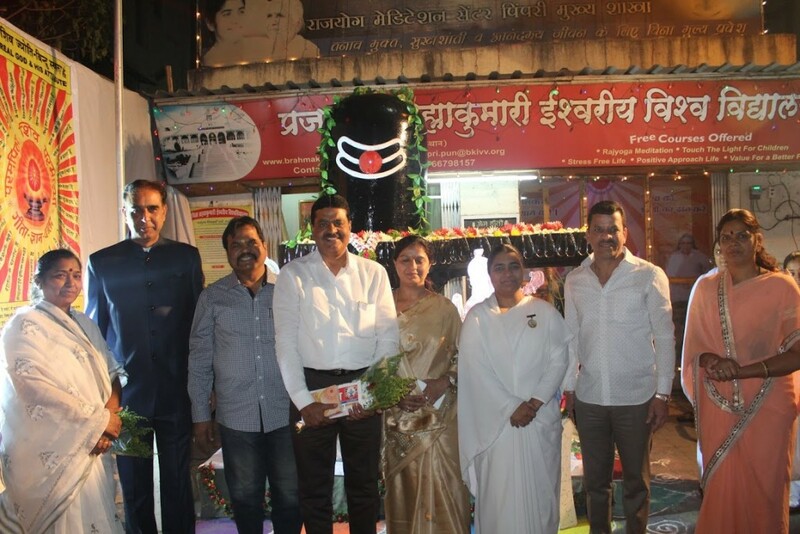 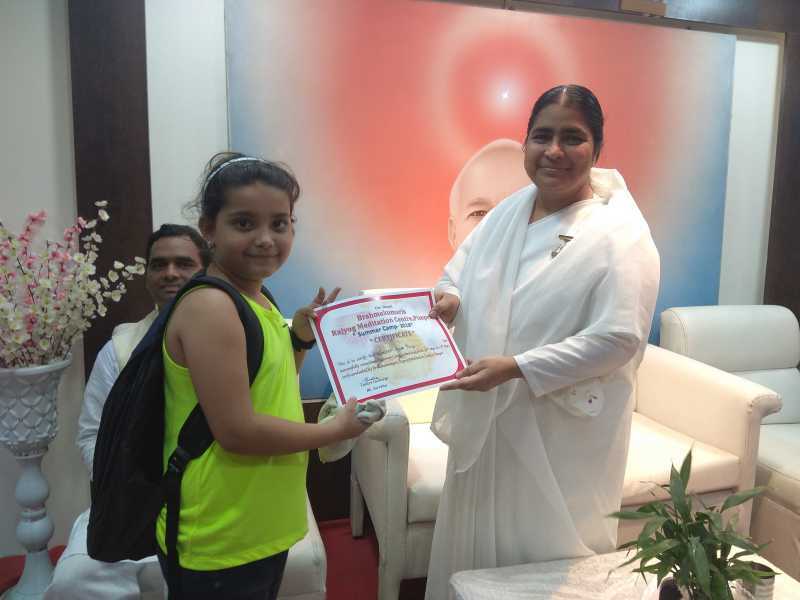 Shri Gautam Chaukswar, MLA, Shri Prabhakar Baghere, ex Municipal Councillor, Pimpri, Shri Sandeep Bhai Waghere, Corporator, Shri Dabbu Aswani, Ushatai Kale, Ashatai Shendge, Shri Anil Aswani were the distinguished guests in the programme organised by Brahmakumaris, Pimpri for 4 days on the occasion of Maha Shivratri. 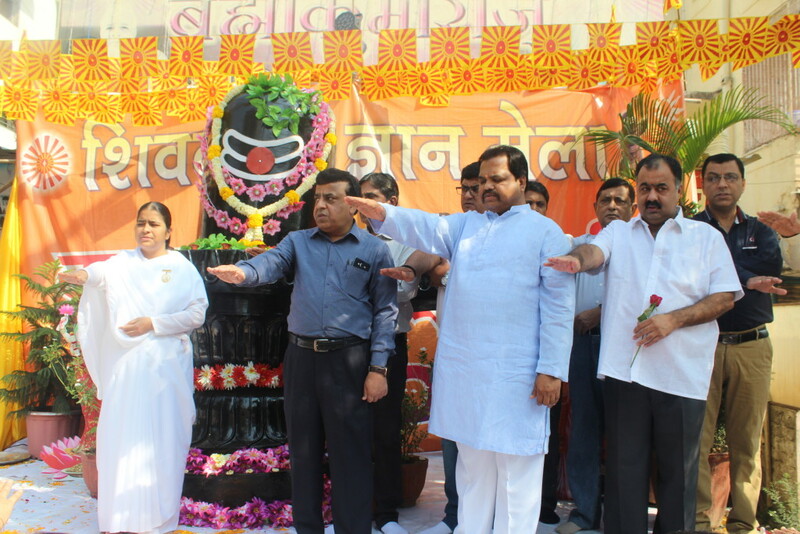 The main attraction of the programme were 11 feet high Shivlingam, Laser show, Photo exhibition, Chaitanya Shiv Darshan.Spiritual Exhibitions were displayed in all Shiv Temples in the area. 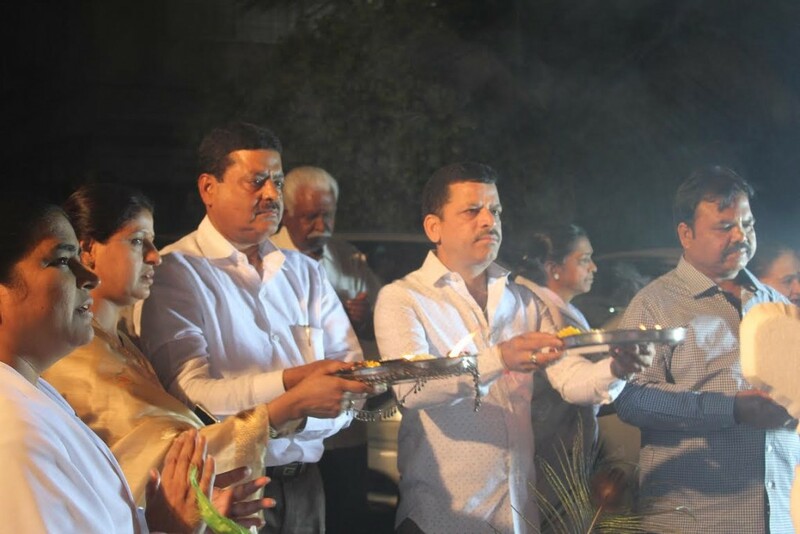 Candle lighting and aarti was done by all the guests. 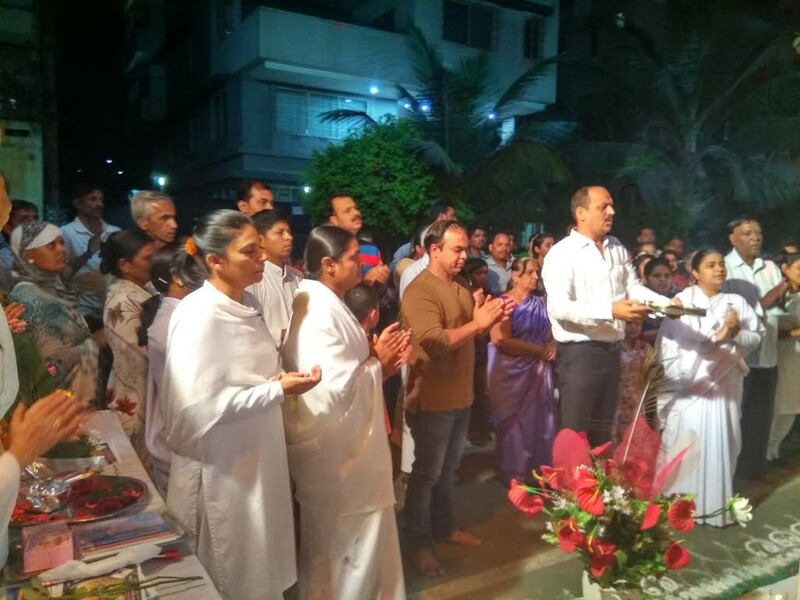 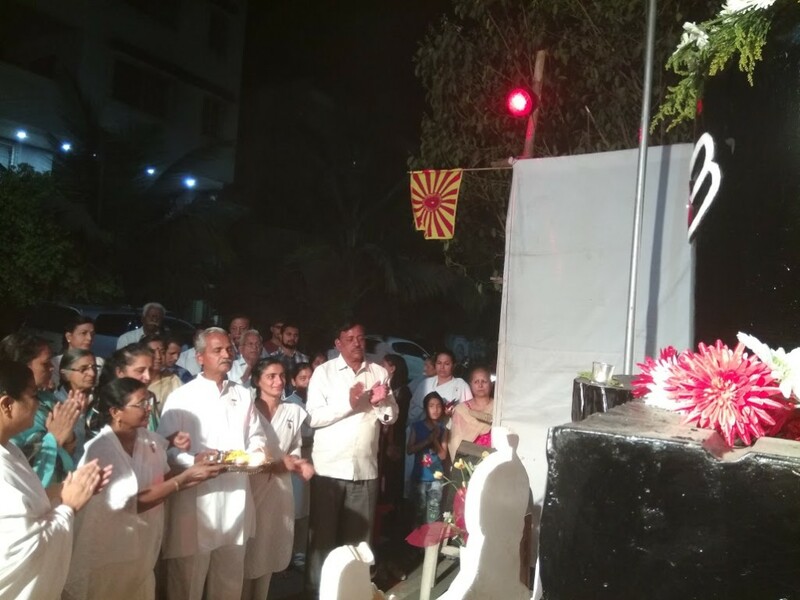 Brahmakumari Surekha Bahen explained the spiritual significance of Maha Shivratri and took the pledge alongwith all present. 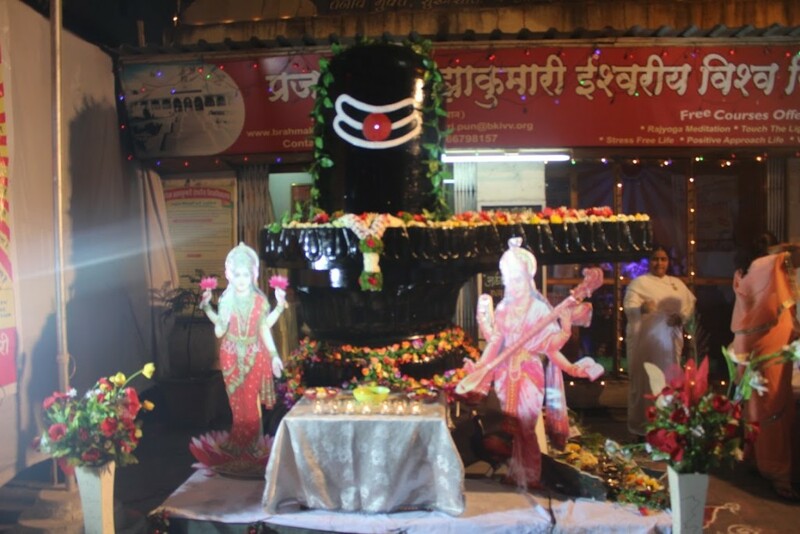 महाशिवरात्रि के पावन पर्व पर ब्रह्माकुमारिज पिंपरी की और से 4 दिवसीय शिव प्रत्यक्षता महोत्सव का आयोजन किया गया था और महाशिवरात्रि निमित्य सभी शिवमंदिरो में आध्यात्मिक प्रदर्शनी लगाई गई | निमन्लिखित गेस्ट प्रोग्राम में उपस्थित रहे | MAL-(विधायक पिंपरी)- श्री.गौतम चाबुकस्वार , श्री प्रभाकर वाघेरे – भूतपूर्व उपमहापौर पिंपरी ,कार्पोरेटर – संदीपभाई वाघेरे , श्री ढब्बू आसवानी , उषाताई काले , कोमल मेवानी , आशाताई शेंडगे – बिजनेसमैन – अनिल आसवानी , दिलीप काले , सतीश आसवानी जी और सुरेखा दीदी.